There are more than one crore pensioners in the country including pensioners from Central Government and Defense personnel. These pensioners get their due pension through Pension Disbursing Authorities (PDAs) such as the banks, the post offices etc. Pensioners are required to furnish a “Life Certificate” to these PDAs in November every year either by presenting themselves personally or by delivering a life certificate in the prescribed format. The requirement to produce this certificate causes huge hardships particularly to the aged and or / infirm pensioners. Launched by Hon. PM Shri. Narendra Modi ji, on 10th Nov 2014, Digital Life Certificate for Pensioners Scheme of the Government of India, known as the Jeevan Pramaan (JP) seeks to address this very problem by digitizing the whole process of securing the life certificate. It enables the pensioner to generate a digital life certificate using a software application and secure Aadhaar based Biometric Authentication System. The Digital Life Certificate (DLC) so generated is stored online & can be accessed by the pensioner & the Pension Disbursing Agency as and when required by them. It is the authority which approves and sanctions the pension of an individual. The Pension is to be delivered in the Pension Account specified in the Pension Payment Order (PPO). The Pension Disbursing Agencies process the DLC of the pensioners. The PDAs can register on the Jeevan Pramaan Portal to access the Life Certificates on-line. This account sign up facility has been created for the PDAs (Banks, Post Office etc), to process pension orders. 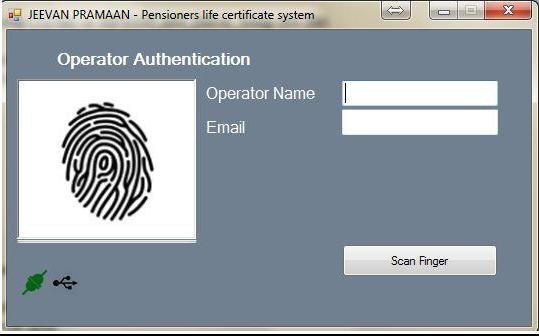 The Agencies can securely login to view/ download a PDF copy of DLC of Pensioner for processing. i) Pensioner can download the JP application (Generate DLC themselves) from the JP Portal https://jeevanpramaan.gov.in/app/download & install client application on android based smart Phone/tablet or Windows PC/Laptop for DLC generation. The Pensioner can download the Jeevan Pramaan Windows & Android client software from the portal. The client software will take care of registration for the life certificate, for authentication it will use the Aadhaar Biometric Authentication platform. This link will be made available after submitting the e-mail address. The pensioner or the operator needs download the client application as per their requirement. It is required to authenticate /register the biometric device (this one time only for a particular biometric device whether it’s the agencies doing the DLC generation or it is being done by the pensioners herself/himself). 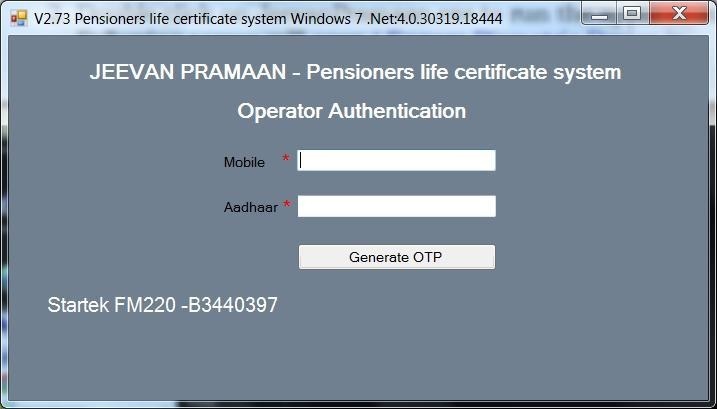 The operator / pensioner provide Aadhaar Number and a Mobile number and receive an OTP which is provided in the online application form/ software module for registration. On entering correct OTP, below screen shall be presented. Provide Name & Email ID and click ‘Scan Finger’. Scan finger-print on finger-print scanner or scan Iris (Eye) on Iris Scanner connected to PC/mobile/tab. once the finger-print/Iris is authenticated, the system displays ‘Device Registration successful’ message on the screen as shown in the screen below. 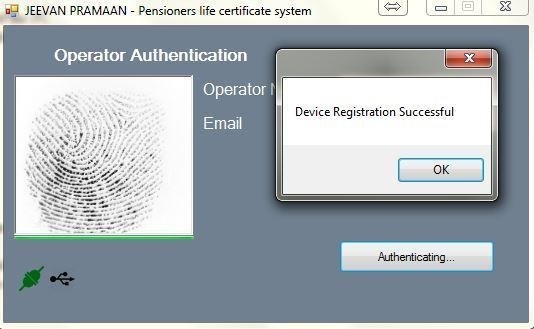 Click on OK.
On clicking OK, Pensioner Authentication Screen appears. Pensioner now has to move to the Next step 2 -For Pensioner Authentication. The pensioner data Aadhaar Number and Mobile number is to be entered in the online application form after which the pensioner receives an OTP. If correct OTP is entered, following screen is presented. On next screen given below, enter mandatory information like Pensioner Name, PPO Number, Type of pension, name of Sanctioning Authority, Disbursing Agency, email and Bank Account number etc. Select Remarried options, Re-Employed Options. Check small grey box as shown below. Then click ‘Scan Finger’ button & this will start the finger/Iris scanning process. 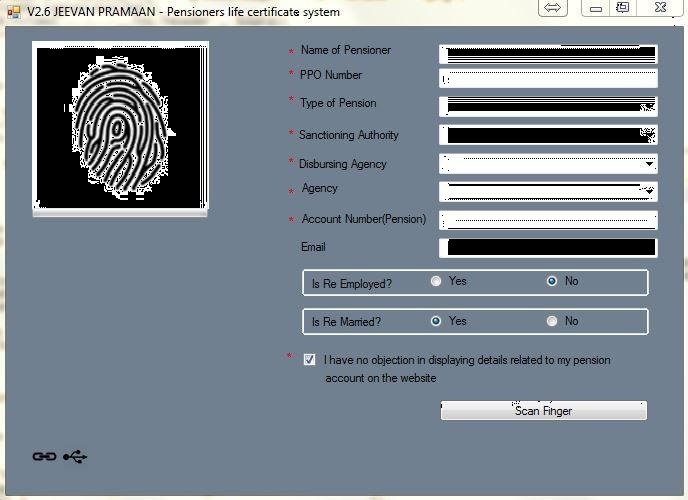 Once the Finger Print/Iris Authentication is successful, the life certificate of the pensioner is displayed as shown below and an SMS acknowledgement is sent to the pensioner’s mobile number. This sms has Jeevan Pramaan Certificate ID. The generated certificates or DLCs are stored in the Life Certificate Repository and is available anytime & anywhere for use by pensioner & Pension Disbursing Agency. 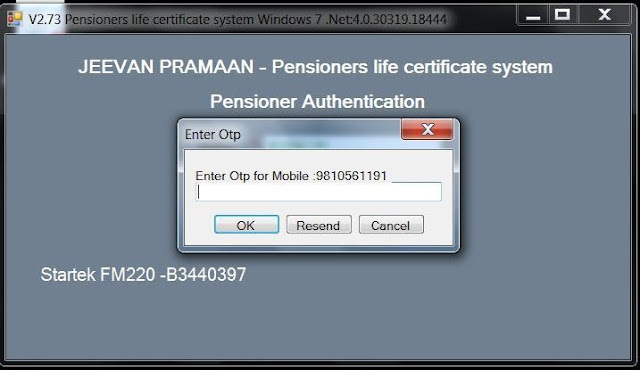 Once the certificate is generated, the Pramaan ID is sent in a sms to the pensioner for further use (print). The Digital Life Certificate or the Jeevan Pramaan can also be electronically delivered to the Pension Disbursing Agencies. The PDAs can access and view the Life Certificate on the Jeevan Pramaan website and also download the same The PDAs can get in touch with Jeevan Pramaan team, to enable the e-delivery facility as well as for login access. 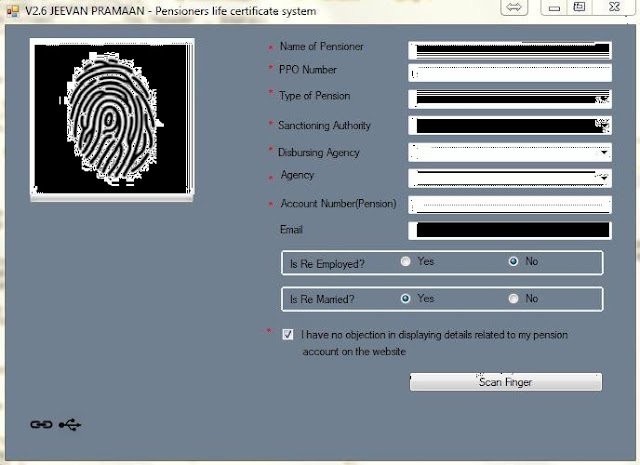 The Pensioner can have the DLC available not only at the time of DLC generation but the can also download a PDF copy of the generated digital certificate from Jeevan Pramaan website(https://jeevanpramaan.gov.in/) by using the generated Jeevan Pramaan ID or Aadhaar number. 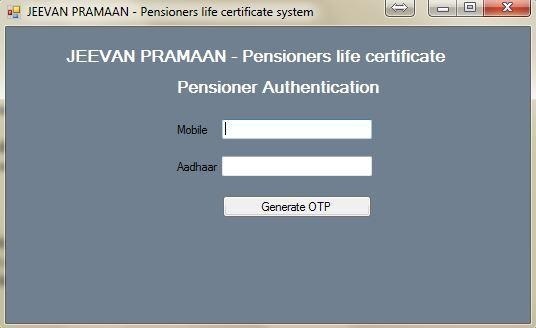 The Jeevan Pramaan /Digital Life Certificate application is simple and easy to implement and leaves out the difficulties which the pensioners face in production of life certificates every year. It also reduces the chances of wrongful disbursal of pension.